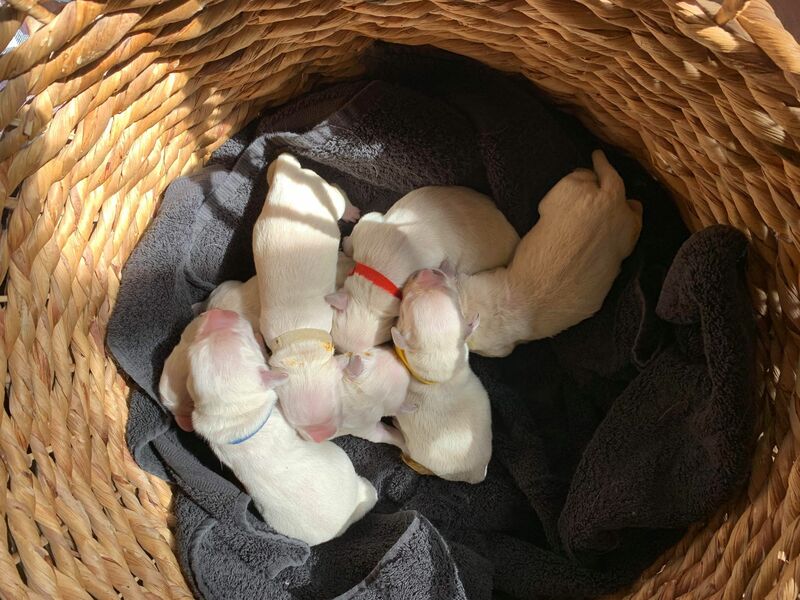 So happy to welcome our first spring litters. 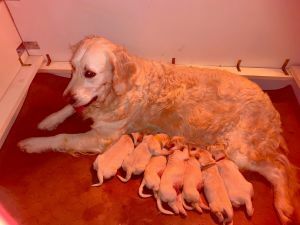 We have 7 beautiful English Cream Goldens from our new lady Norica in Placervile. Not bad for a first litter. 3 girls and 4 boys. Sorry to say – All have been placed except 2 adorable boys – which are surely to look just like daddy Shilo. Please contact us right away! Our adorable Golden Doodles by Callie have also all been placed even before they were born. I highly recommend deposits to reserve from up coming litters as Shilo’s pups are kind of like the Gold Standard. The English Cream Golden Retriever Gold Standard. We have more litters in the works so please fill out the application and contact us ASAP to get on the wait lists.